Thirty years ago all leader manufacturers for sheet metal machinery sold laser and punch combination machines. 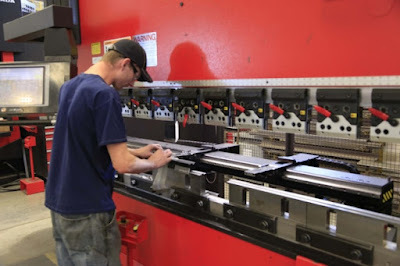 The advantages of such machinery are incredible high – you have a standard punch with fast speed and standard punching tools but some travels or cuts could be made my laser. In this case you are free with any part solutions – you do not need to punch the edge as the straight line but can do any wave or other figure cuts without any problems. Do not have the right tool to punch? You do not need to order it if the time is limited – run the laser. This more interesting machine for jobshop production with different orders – you can’t know what tools you should need for the tomorrow order but you can do it. From other hand the maintenance of combination laser-punch machines was also high. You have tools, you have hydraulic for the punch, you have laser and all beam transfer system together with necessity for all gases. Moreover the price for this types of the machines was really expensive so it will be necessary to calculate very well the price for the laser freedom possibilities. Next thing is punching and shear cutting combination machine. 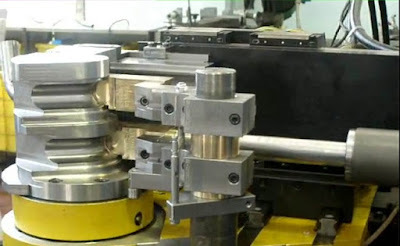 Operators usually understand what is the duration of life for slitting punching tool, their costs and how long it could be in high production. So to speed the time punching and shearing machines are used to perform the side cuts not with the punch but with the blade. This technology gives the boost of speed but for sure costs of such machines are very high for investments. Market for this kind of the machines is very low because these machines are perfect if the production is with thousands of equal pieces every day. But for mass products like refrigerator panels, washing machine sides, electrical cabinets etc. the solution is perfect. 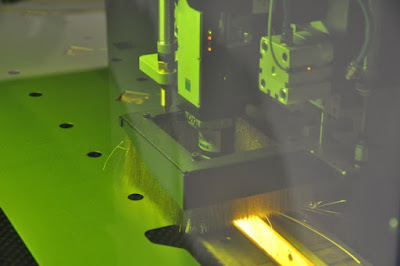 New generation machines came together with the start of fiber laser integration. Together with modern, powerful and high-speed servo electric punching technology the installation of fiber laser is much easier because of the simple way from the source and the maintenance for this kind of the machines much more simple. So the new combinations of punch and laser system are really powerful units with low consumption, green technologies and the same effective use for different style of applications.